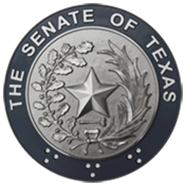 Austin, TX - Yesterday, Senator Juan "Chuy" Hinojosa joined Senator Jane Nelson, Chair of the Senate Finance Committee, as co-author of Senate Bill 3.This bill, if passed, will provide Texas' 350,000 classroom teachers a permanent $5,000 salary increase. I am proud to join Senator Nelson as co-author of Senate Bill 3. Our teachers are key to a quality education. They are the backbone of our education system and this pay raise is long overdue. I look forward to working with my colleagues to secure this pay increase for our teachers as well as reforming our public school finance system. The reforms should aim to provide an equal playing field to ensure similar access to educational funds for every public school system regardless of wealth or location. Education is the best equalizer. We must give our school children the best resources we can for them to succeed." The introduced Senate budget for the fiscal year 2020-21 totals $62.2 billion for public education, which a 12.5 percent increase (or a $6.9 billion), in comparison to the current biennium. The initial proposed increases includes the $3.7 billion for the increased teacher salary, $2.3 billion for property tax relief, $0.9 billion in the Foundation School Program (FSP), and $204.7 million in Federal Funds. Appropriations for the FSP include an estimated $2.4 billion for student enrollment growth. Senator Juan "Chuy" Hinojosa proudly represents the counties of Nueces, Jim Wells, Brooks, and Hidalgo (part). Senator Hinojosa currently serves as Vice-Chairman of the Senate Committee on Finance, and serves on the Senate Committees on Natural Resources & Economic Development; Transportation; Agriculture, Water & Rural Affairs.